Maybe you are familiar with Scandinavian style. This style has been inspiring to many people around the world as their home interior decorating style. 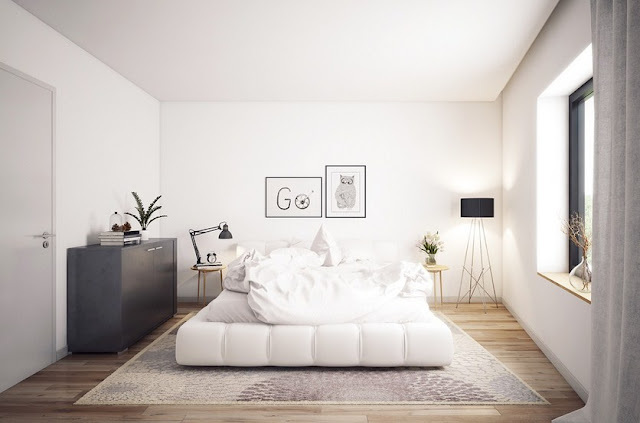 Scandinavian bedrooms look simple and clean because of the predominantly white color scheme with certain bright colors or contrasting tones such as striking black, so the interior has a sharp and dynamic visual effect. Scandinavian bedrooms require enough natural sunlight so most often use high and wide windows. The decorating line in Scandinavian bedrooms is based on contemporary graphic patterns and modern monochrome artwork that usually pierce the majestic white appearance and create a freshness and artistic touch into the room. Scandinavian aesthetics can be applied to many different spaces. 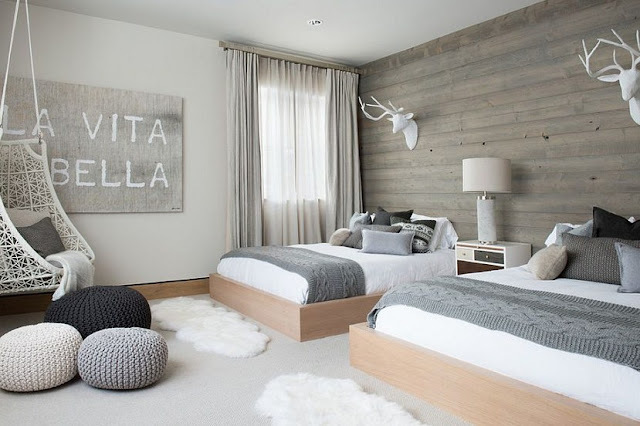 The love of simplicity, the elements of nature, and the functionality is ideal for the bedroom. 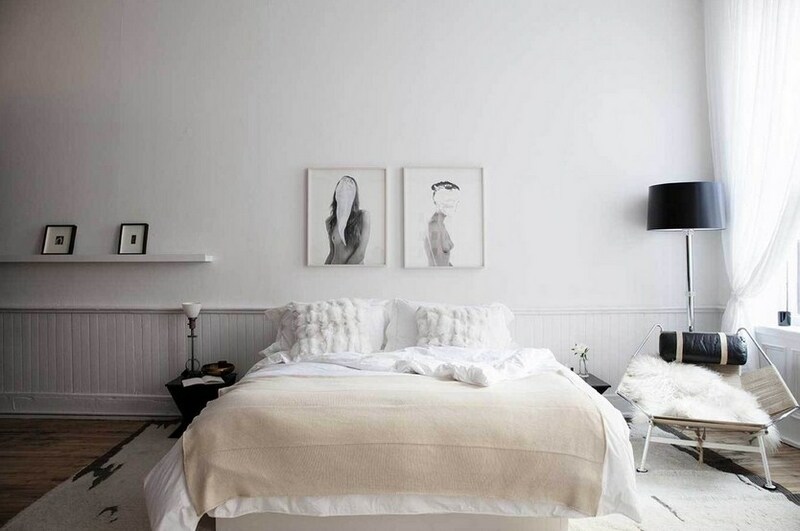 Glimpse in some beautiful, organized and comfortable bedrooms that are inspired by the Skandinavian design and get inspired for yourself. 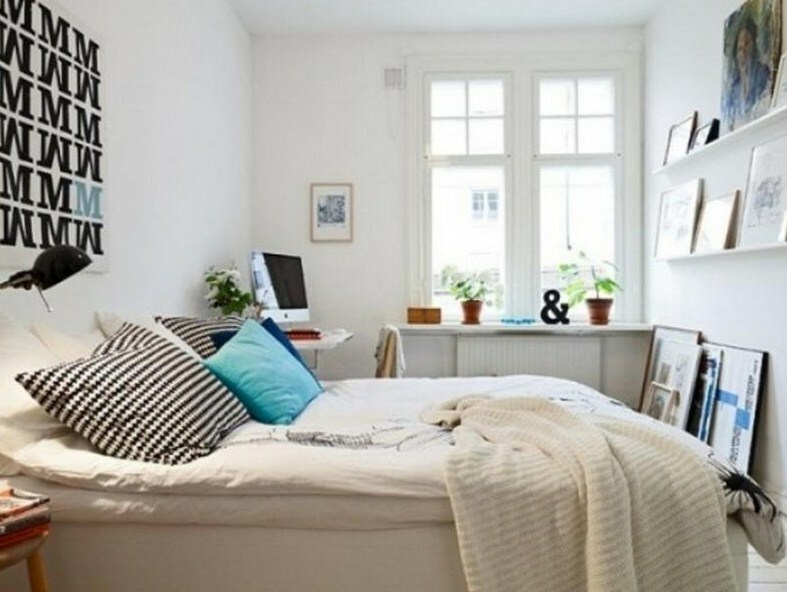 And do not think you can not experiment with color combinations if you tend towards Scandinavian design. Black, white, yellow, and bright teal become the perfect mix.The Scandinavian style can still be a little eclectic when you add something like a clean white wall cow skull.The dominance of white color with wooden floor to be typical of a Scandinavian interior, yellow accents on the chairs make the room more lively. This scandinavian-style design is expected to replace the minimalist design style that has been an inspirational reference for the general public for many years. In addition to the very unique design character the scandinavian design style has principles that are very well suited to modern society. Simple, clean, simple and honest design look in the expression is the main reason this design style will replace the minimalist design style in the future. The dominance of white on the design of scandinavian-style design will often we get, by using accent bright color accents, giving a very fresh impression on the room. In principle the scandinavian style interior design of the color is a combination of bright colors. To reinforce the impression is in use white color as the background color. Wooden elements are also the main characteristic of this stylish design, usually wood appears in the form of board board in the use of floor coating, wall or others. These wooden board boards generally expose the color of wood but in some wooden board designs in white give the color. Unlike the exterior design character of scandinavian style, this style interior is more likely to display a more soft and soft impression.Sometimes some elements of the interior of the room enough to lean into the wall like a large mirror and painting contemporary paintings for example. Usually this themed interior space space has a large window window to memasikan the amount of light that hit the room. This stylish design is also often displayed with a combination of white, ash and dark gray as in the bedroom interior picture above. This style also has a distinctive furniture and always in use in achieving this theme, about that we will discuss it specifically in other articles.